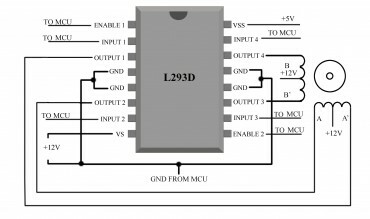 SKU: 25. 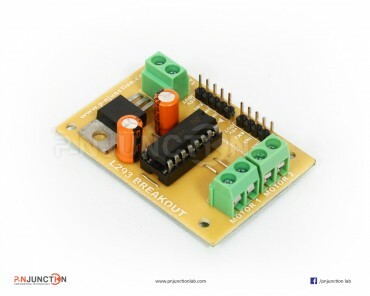 More From: Breakout board. 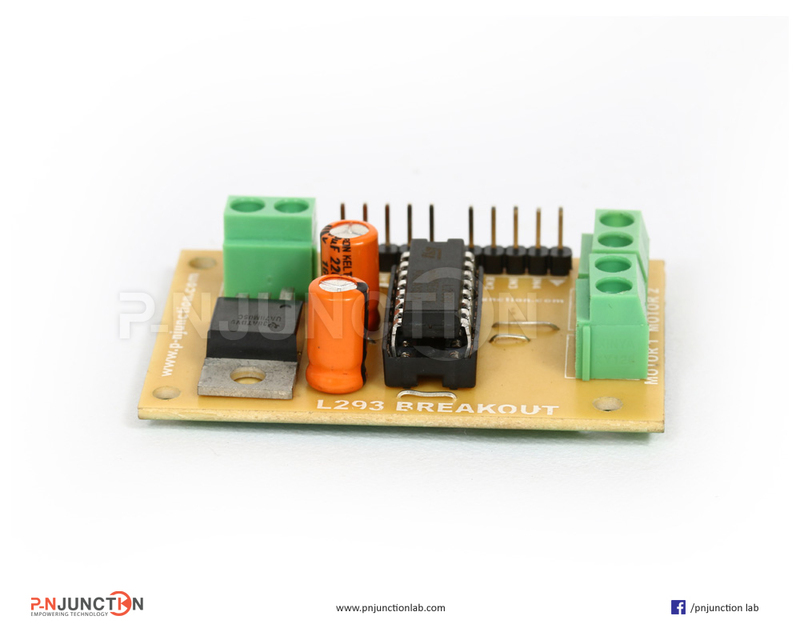 This L293 Breakout board allows you to control a DC motor from a micro-controller. 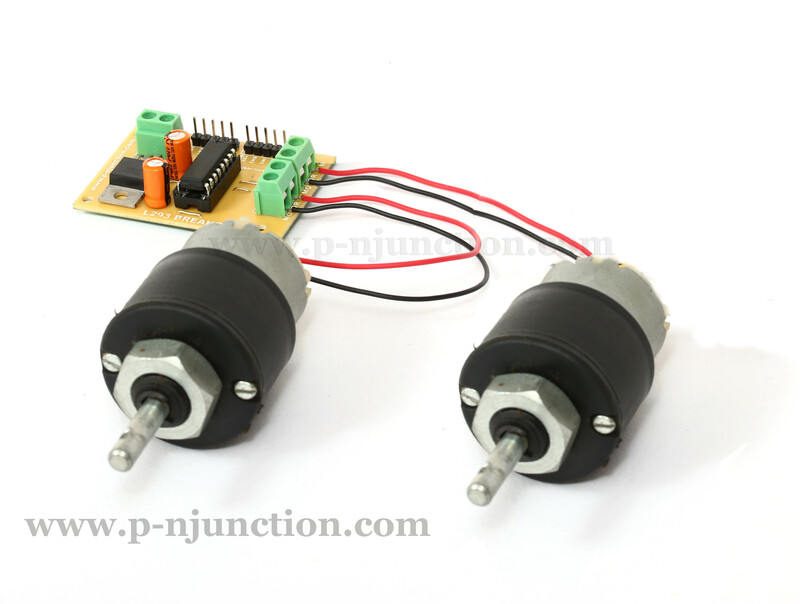 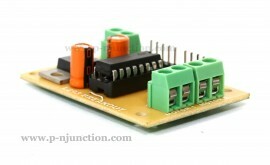 It contain two output port & one 12V input port. 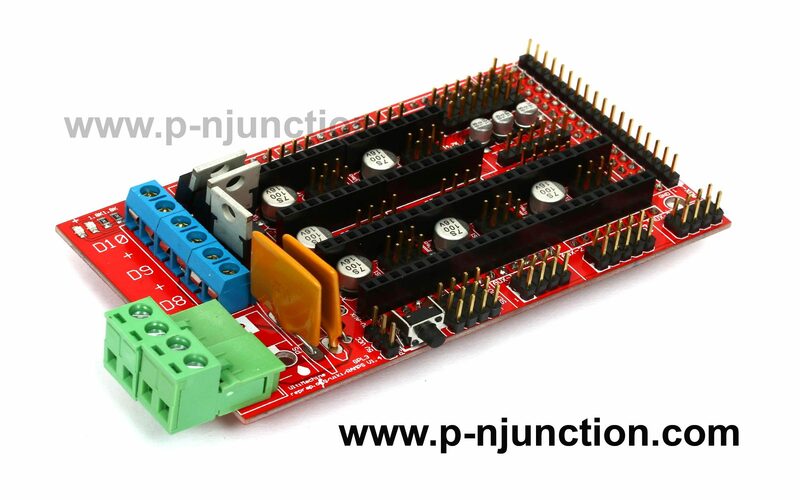 This board needs 3 input lines from microcontroller for each DC motor. One line for enable/disable, other 2 lines for set the direction ( Clockwise/Anti-clockwise )of motor. 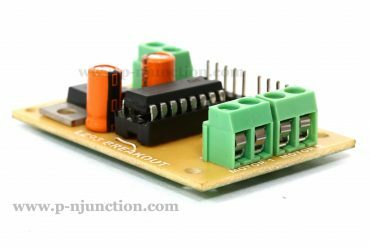 These lines are connect with microcontroller using jumper wires. 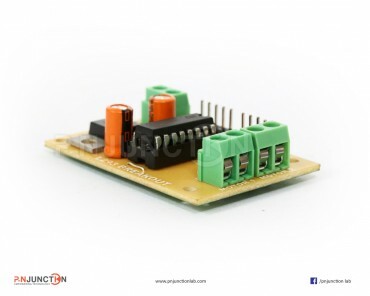 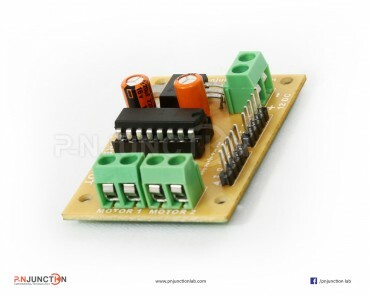 This board also provide 5V output. 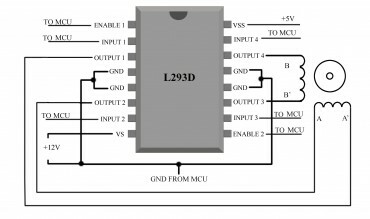 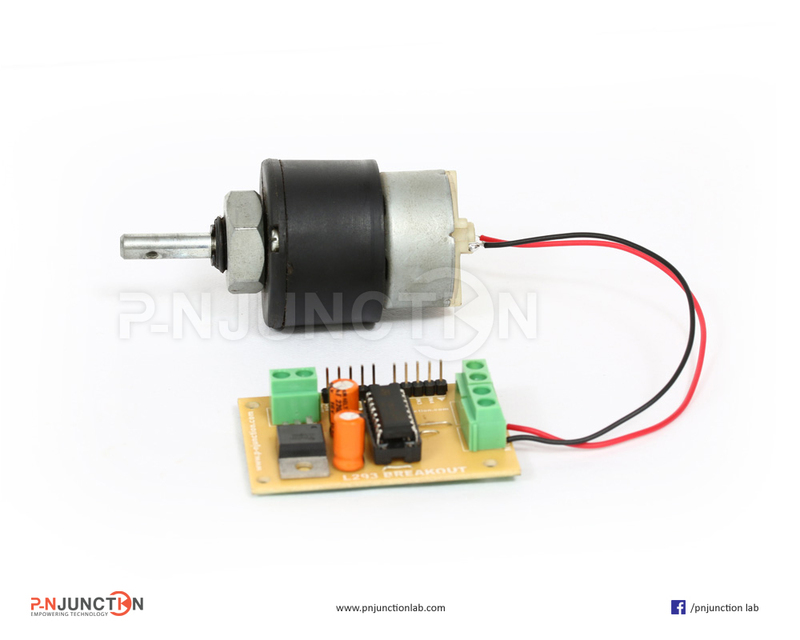 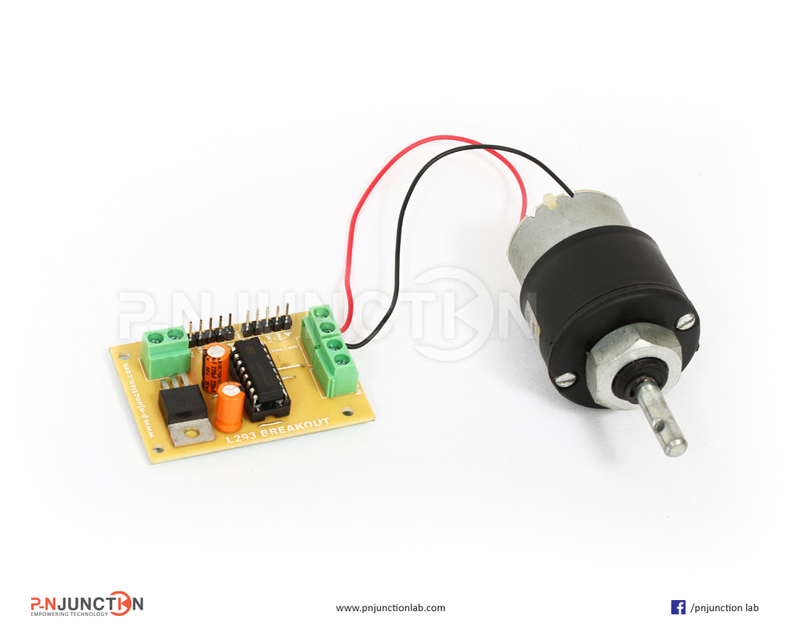 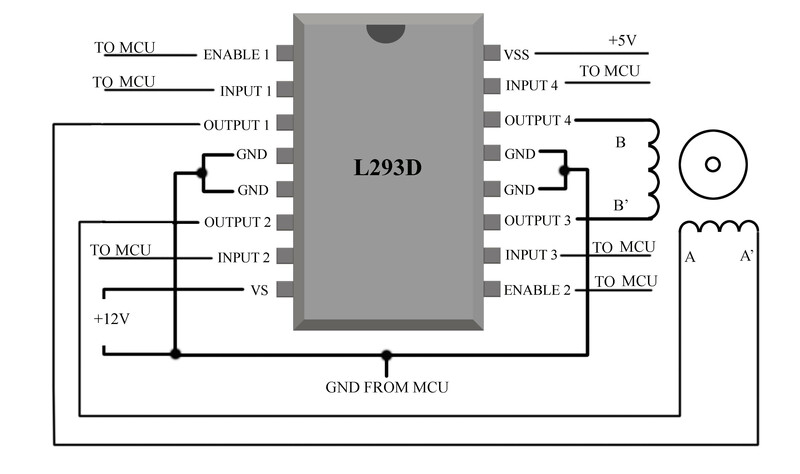 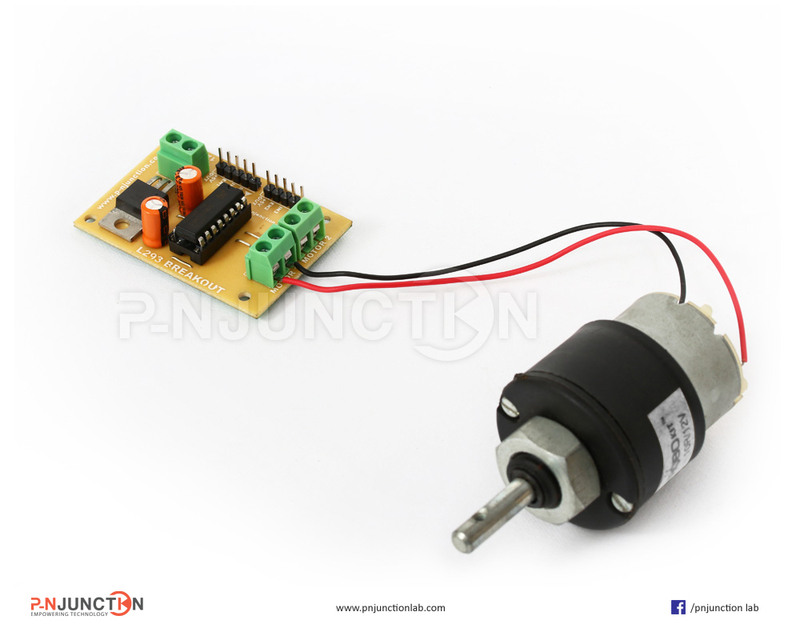 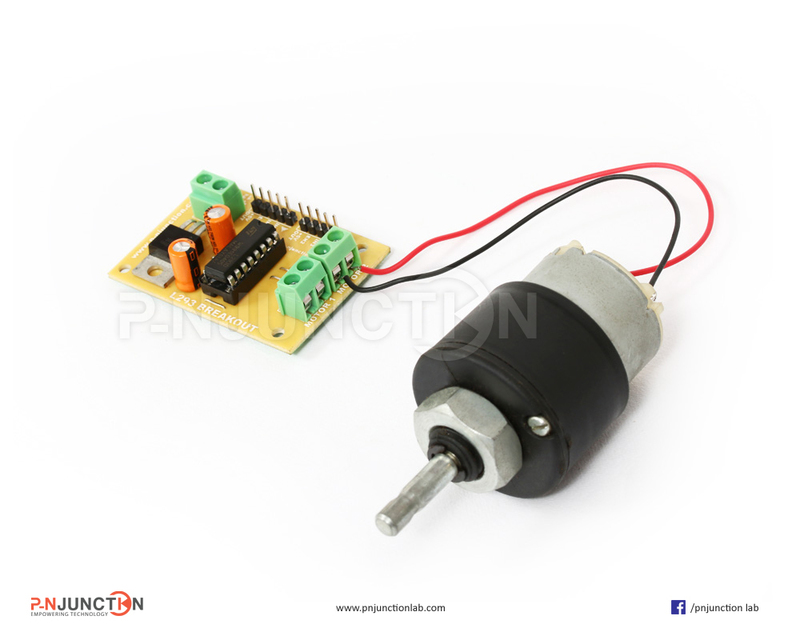 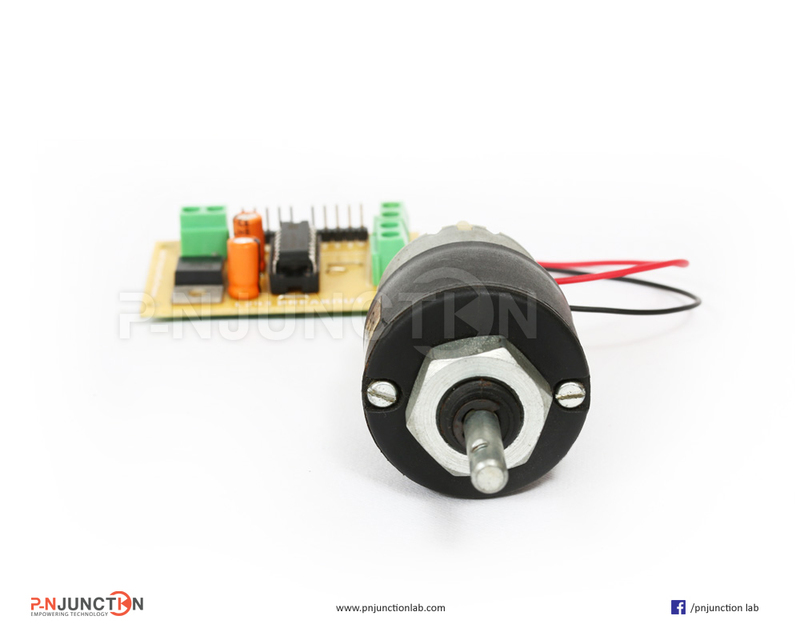 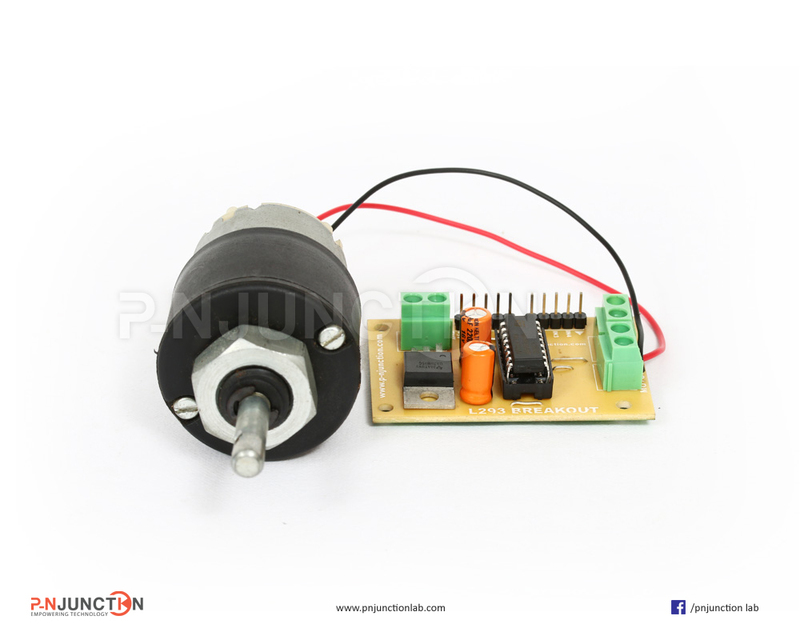 Using this L293 Breakout Board, control your DC motor easily. 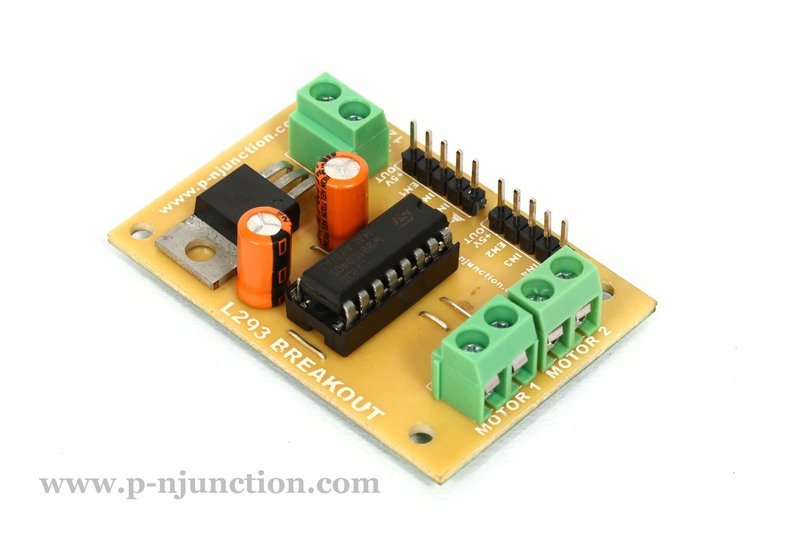 Be the first to review “L293 Breakout Board” Click here to cancel reply.